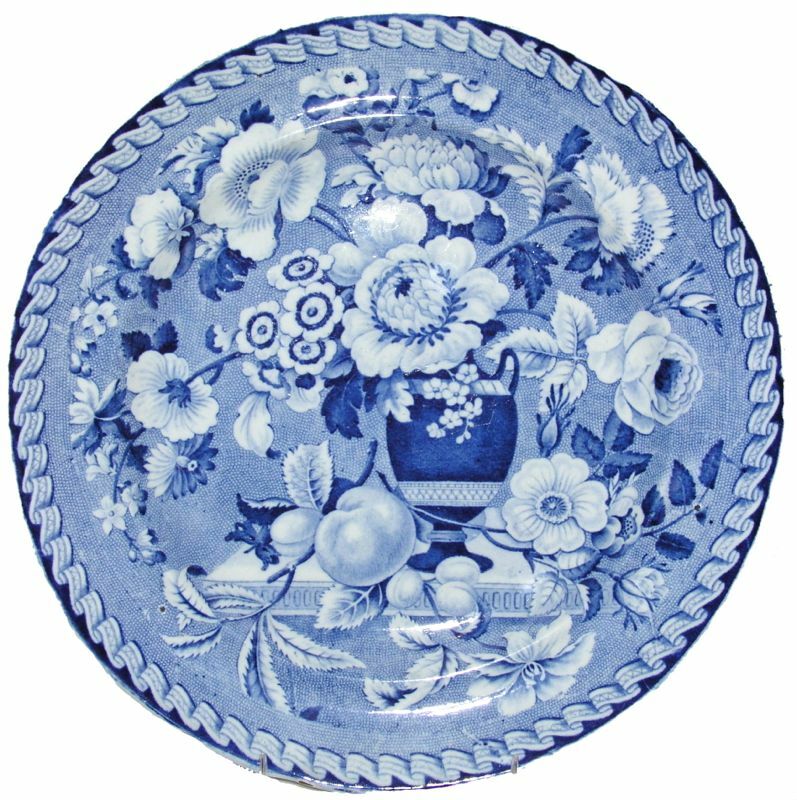 I like floral and botanical patterns, so the lovely "Flora Pattern" plate I purchased in England fit right into my collection. The pattern features a robust assortment of flowers in a vase against a stippled background (small dots). The pattern is unconfined by a border. It fills the plate right up to the ribbon at the edge of the plate (I guess the ribbon is border-like). There are what appear to be cherries and peaches on the table. As much as I like this pattern, this is not the reason for this post. This post is about squirrels and ecology! I found another plate in the "Flora Pattern" that had the addition of a squirrel. It is a rather uncommon addition to the pattern. I noticed that the ears of the squirrel were quite different than the ears of the squirrels that sit on my fence in California. The squirrel on my plate has tufts of fur on its ears. I learned that the squirrel on the plate is a domestic (English) squirrel. A Red squirrel. I also learned that the Red squirrel is endangered by the encroachment of the American or Eastern Grey squirrel. The Grey squirrel, which was introduced into England in the 19th century, carries a disease, the squirrel parapoxvirus, that kills the Red squirrel but doesn't harm the Grey squirrel. This is just one of the issues between the Grey squirrel and the Red squirrel, but more can be found on the Internet. 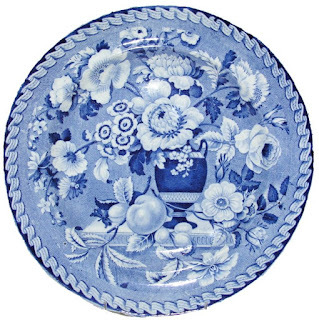 This blog is about what I have learned from transferware patterns. 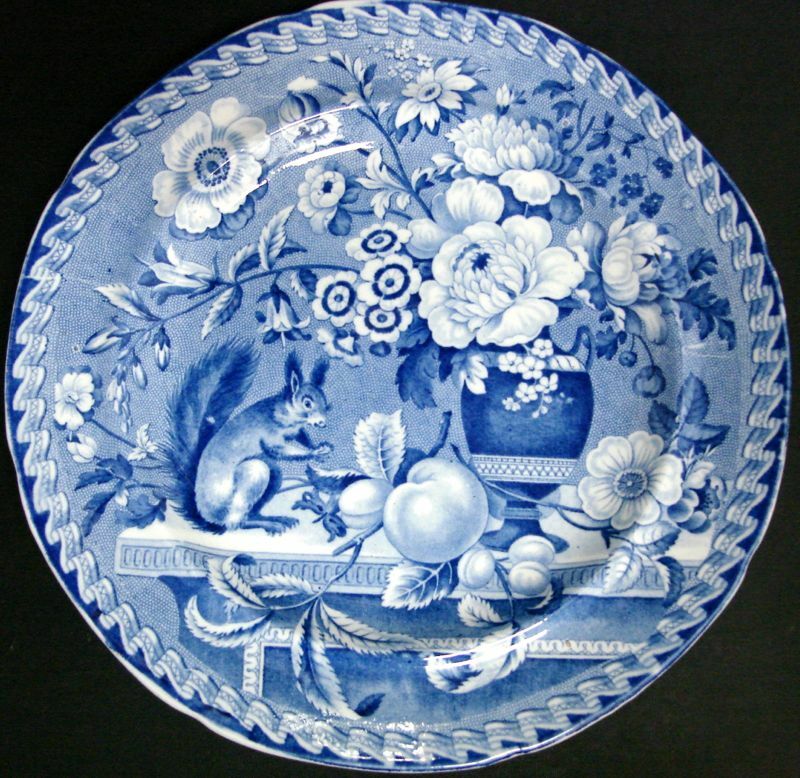 A chance encounter of a squirrel on a floral plate has led me to worry about the survival of the Red squirrel in Britain and on this planet.